Gibson Guitars are on the verge of bankruptcy per an article in the Nashville Times. The famed company is currently in a shitload of debt and its bondholders are panicking as their CFOs are abandoning ship. Despite bringing in a billion dollars last year, the prospects of Gibson are uncertain which begs the question: What future do high-end guitar brands have in a world that’s gravitating towards electronic music? 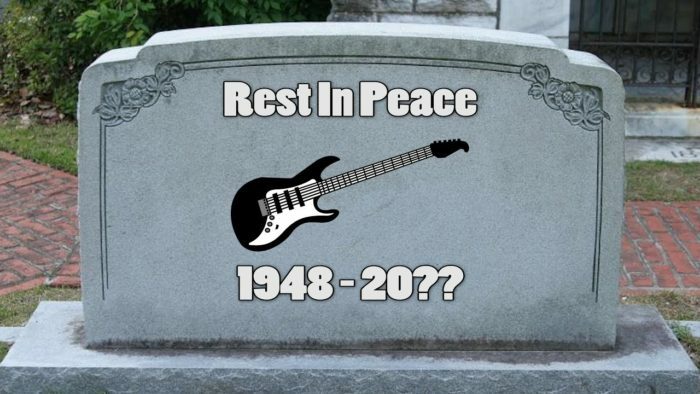 And more importantly- is the death of electric guitar closer than we think, like many are claiming?